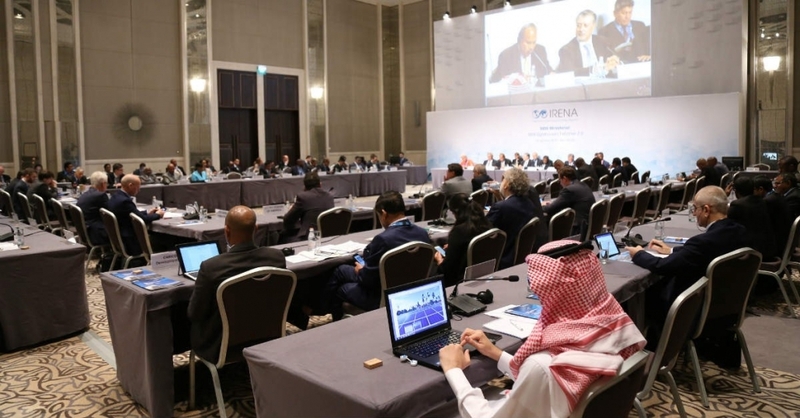 The IRENA (International Renewable Energy Agency) held its ninth annual assembly in in Abu Dhabi, UAE on 10-13 January 2019. The Assembly is the Agency’s supreme decision-making body and brings together Heads of State, Ministers, government officials, and representatives from the private sector, civil society and other international organizations to reaffirm the global renewable energy agenda and make concrete steps to accelerate the global energy transition. The IGA is one of the first members of the Global Geothermal Alliance (GGA), initiative coordinated by IRENA, to which Ethiopia and the Geothermal Resources Council (GRC) joined last October 2018, to be the 46th member, and the 33rd partner of the GGA, respectively. In the IRENA’S ninth session, more than 1200 delegates gathered, including representatives of the countries members, to discuss key issues in the global energy transition and chart the way forward for the Agency against a backdrop of remarkable progress on deployment. During a Ministerial Roundtable, government officials examined new, disruptive innovations emerging that are changing the ways in which energy systems are configured and operate. The last day of the assembly, the members selected Francesco La Camera to be the next Director-General of IRENA, for a term of four years. La Camera will take office on 4 April 2019, succeeding Adnan Z. Amin, who has been IRENA Director-General since 2011. The IRENA Assembly decided also to pay tribute to the current Director General for his outstanding contribution to the establishment, development and work of IRENA, and accorded, at the conclusion of his tenure, the honorary title of Director-General Emeritus for Adnan Z. Amin. The decision recognizes the significant achievements of IRENA during Amin’s tenure, including reaching a near-universal membership of 160 Members in January 2019, when Canada joined the agency. The IRENA Statute stipulates that membership in the agency is open to states members of the United Nations, and to regional intergovernmental economic-integration organizations. There are currently 160 states members, and other 23 states in accession. Francesco La Camera currently serves as the Director General for Sustainable Development, Energy and Climate at the Italian Ministry of Environment, Land & Sea. He led the EU and Italian negotiation teams at the climate COP 20 in Lima and was the head of the Italian delegation to the three previous COPs. He has represented Italy in many international forums including at the EU, UNECE, UNCSD, UN Environment, and the OECD.